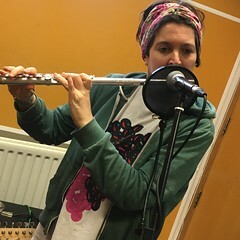 Anarchistwood and Bromide performed live in session and Gerry Mitchell recited live poetry on Resonance FM‘s Hello GoodBye Show on Saturday 21st January 2017. This entry was posted in dexter bentley, hello goodbye show, Hello GoodBye: Playlists, resonance fm and tagged anarchistwood, bromide, dexter bentley, gerry mitchell, hello goodbye show, resonance fm. Bookmark the permalink.